Fun, fun, fun, but is it enough? 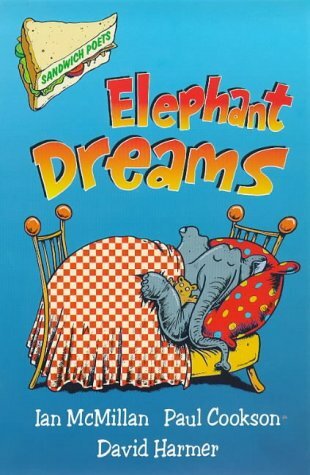 Elephant Dreams is the most recent book to be published in the 'Sandwich Poets' series. It is full of jokes, wordplay and the obligatory verses about aliens, but not much substantial poetry. Do Macmillan have a set of rules in this series which the poets have to obey? Because where they are allowed to, Harmer, Cookson and McMillan slip in the odd memorable poem which is then immediately suffocated by the interminable routine of zany subjects and verses. 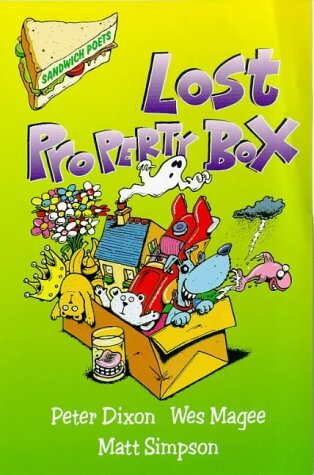 Lost Property Box is a new cover reprint from 1995. 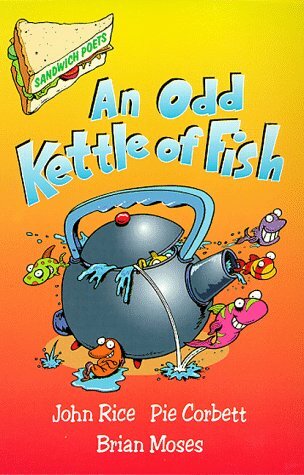 The new series cover style is garish and the inside illustrations are crude and cartoonish. Even the drawings of each poet at the beginning of a section do not do them any favours. Neither does the selection of poems in this title. Magee, in particular, can write some stunning poems but this book's theme seems to be the insubstantial, the 'whatever can be consumed quickly'.